I'm a big fan of the LP5000 QV, it was the first car that got me really interested at cars. And in cocaine white, it's a stunner. Click through for the other two cars Lambo was making in 1986! 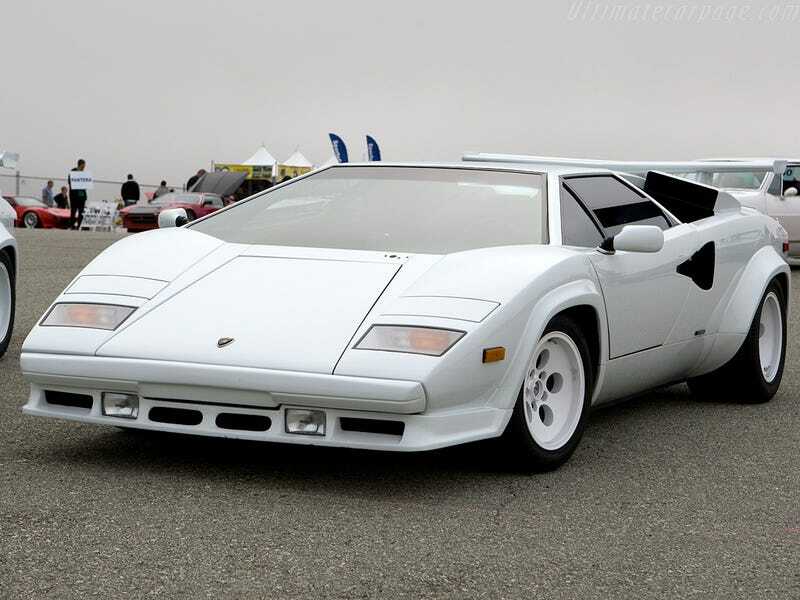 The 1986 Lamborghini Jalpa. Also in cocaine white, because the 80's. And finally the Rambo Lambo, the LM002, which started production in 1986, also in cocaine white, because trifecta.